Delta Force Paintball – A fun experience for all ages. Keeping kids active, healthy and entertained can be a struggle. Here at Delta Force Paintball we believe that playing paintball is an excellent way to stimulate imagination and develop valuable team work skills. Paintball is an activity that encourages fun and communication, and our days are incredibly flexible. We have entertained several youth groups at our centres and we understand that every group requires something different. We can offer an unforgettable day that is safe, and fun. If you don’t believe us, head over to our testimonials page. Give the kids a day they won’t forget! 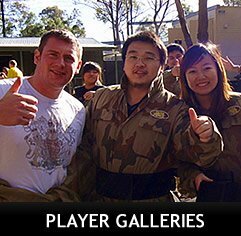 Delta Force Paintball Newcastle has facilities to accommodate any group size, with any needs. Our centre has incredible game zones that will excite and amaze, promising a day packed with unforgettable paintball adventures.